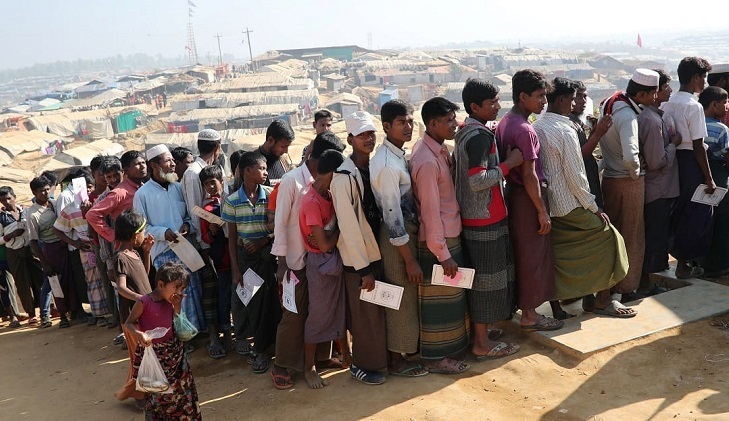 Bangladesh has urged the US administration to solicit support on Rohingya issue from the countries who maintain close economic and commercial ties with Myanmar and together create pressure on Myanmar to take back its nationals from Bangladesh as per agreements signed. Bangladesh also conveyed that it is extremely critical to create international pressure on Myanmar military so that they stop persecution on the Rohingyas and create conducive environment to facilitate the latter's safe return. Green reassured Dr Momen that a peaceful resolution to the Rohingya issue is not just Bangladesh's concern rather it is a responsibility of the global community. Dr Momen briefed Ambassador Green about relocation of one lac Rohingyas from Cox's Bazar to Bhashanchar, an island which Bangladesh made habitable at own expense.